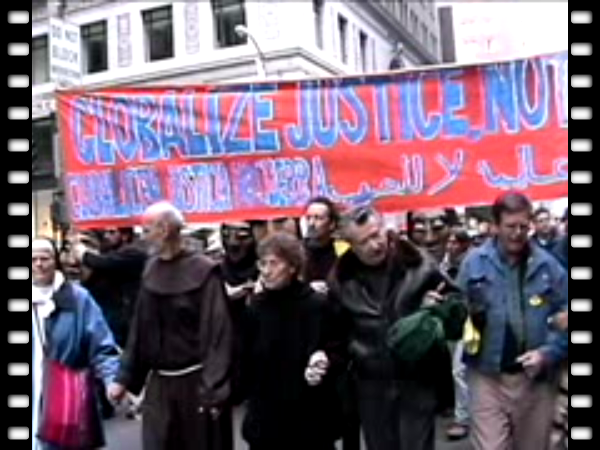 footage of the anti-war protest today, March 14th of the lockdown at the Pacific Stock Exchange in San Francisco. 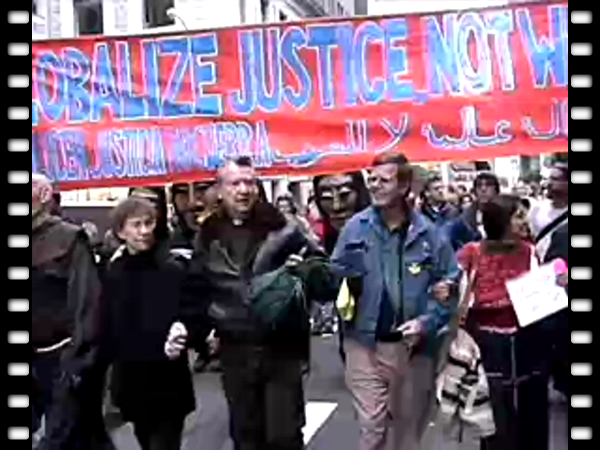 Dozens of anti-war activists blockaded key intersections of the downtown financial district. Two intersections included Bush street with chants of "We are blocking Bush". Traffic was jammed for several hours as hundreds rallied in the streets.